Hi Butterflies! I came across this FREE Printable Weekly Chore List and thought I would share with you guys. 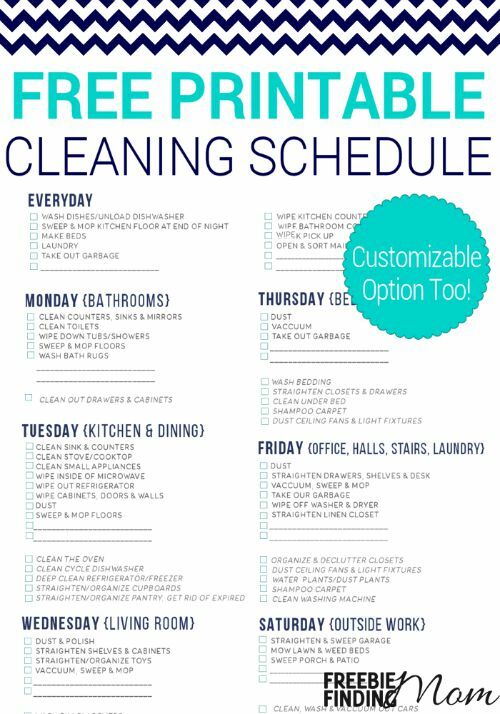 If you're looking to get and stay on top of your household chores download a free printable Cleaning Schedule or download the customizable printable cleaning schedule here from Freebie Finding Mom!